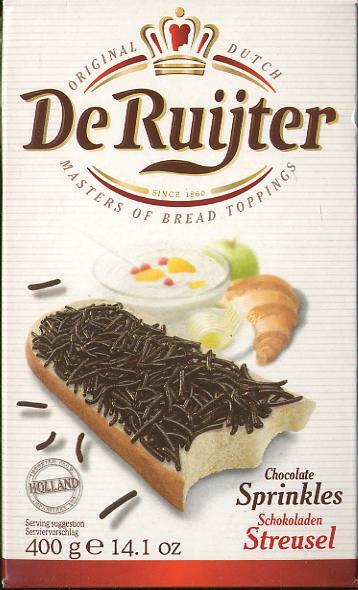 De Ruijter Chocoladehagel Puur / Dark Chocolate Sprinkles - Sprinkles - The Dutch Shop LLC your store for Dutch groceries. Chocoladehagel Puur. Dark Chocolate Sprinkles by De Ruijter. 400g. Traditional Dutch product. Great on bread. Can also be used to decorate cakes.